Vienna Square offers you maintenance free villas, not Florida condos for sale. Our maintenance free villas and site built homes help you to feel most comfortable while enjoying healthy living and retirement. We make homeownership affordable and possible with villas starting from the mid $100’s. Plus, you will have access to our clubhouse and other community amenities and events. 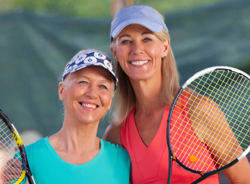 It is one of the best Florida retirement communities for the active adult. Many times when you are looking for Florida condos for sale, you run across less than adequate communities or exorbitant monthly fees. Plus, the association limits what they cover and what you are responsible for should something happen on your property. This is not the case at Vienna Square. We are sure our maintenance-free villas are perfect for you. We offer a couple of floor plans that feature single-story living, two-car garages, walk-in closets and more. 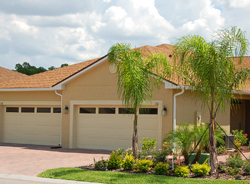 Unlike many Florida condos for sale, we offer you elegance and harmony in our maintenance free villas. We have a beautiful clubhouse with a surround sound theater and grand ballroom, heated swimming pool and spa, tennis and other organized activities every month for your enjoyment. We have truly reinvented retirement. You will spend less time mowing your lawn and more time enjoying all the amenities, activities and area attractions that await you in beautiful Winter Haven. Vienna Square is located in Winter Haven. We are a relaxed community with access to many affordable services such as shopping, medical facilities and more. We are centrally located in Florida with quick and easy access to the expressway systems that take you to Disney World, Universal Studios, Busch Gardens, Bok Tower and more. You are also close to the great beaches on either coast and are able to attend major sporting events, symphonies, concerts and plays. You are also close to some of the best golf courses in Florida. One of the best things about Vienna Square is our continuing care campus. 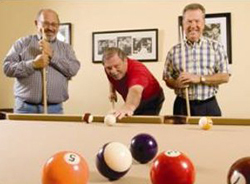 When you live in Vienna Square you are able to enjoy all the amenities and features we offer our residents. However, should your medical needs change as you get older and more assistance is needed in your day-to-day routines, we are here to help. It is great to know that you have helping hands nearby to help you through the tougher times. That is one of the perks when you choose one of our maintenance free villas or site built homes, unlike other Florida Retirement Communities that only offer Florida condos for sale. 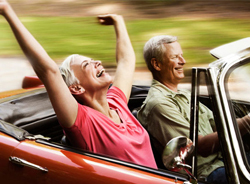 It is time you considered where you plan to spend your retirement years. Do you want to be burdened by the costs of homeownership without the ability to really enjoy an active lifestyle or would you rather live in a villa or home where you do not have to worry about the chores of homeownership and instead can enjoy your retirement years? It is time you looked at our Maintenance free villas and not just Florida condos for sale.